After the death of Solomon, the nation of Israel divided into Israel (the northern kingdom) and Judah (the southern kingdom). 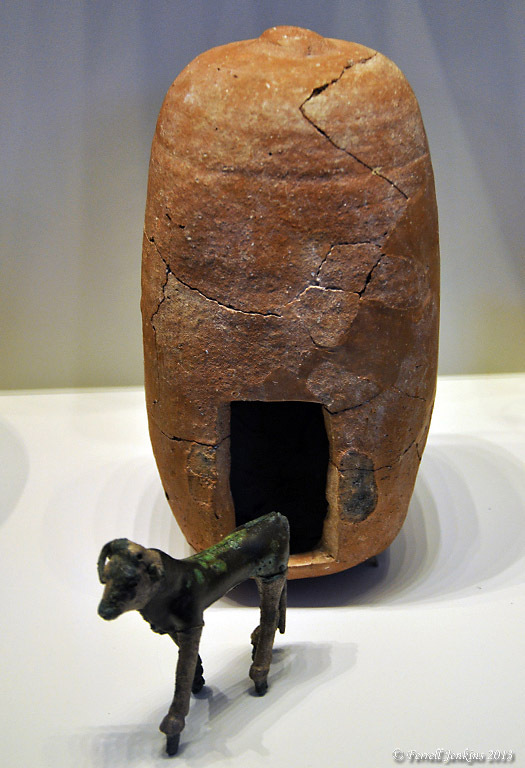 With the introduction of calf worship by Jeroboam, the kingdom of Israel never recovered. Eventually the kingdom fell to the Assyrians between 732 and 721 B.C. In the southern kingdom of Judah (the House of David) it was different. From the time of king David onward (1110–970 B.C.) all of the kings of Judah were his descendants. Some of them were faithful to the LORD and others were not. There were departures from the way of the LORD into idolatry. A visit to the Israel Museum, or to a variety of sites, will provide numerous illustrations of this idolatry. One example comes from Beersheba (Beer Sheva). The archaeological excavation at the site is well marked for the benefit of the visitor. Before entering the tel one passes through a square in which stands “a reconstructed replica of a large, sacrificial four-horned altar whose stones were discovered incorporated into a storehouse wall.” (This statement comes from a beautiful brochure provided for visitors by the Israel Nature and Parks Authority. 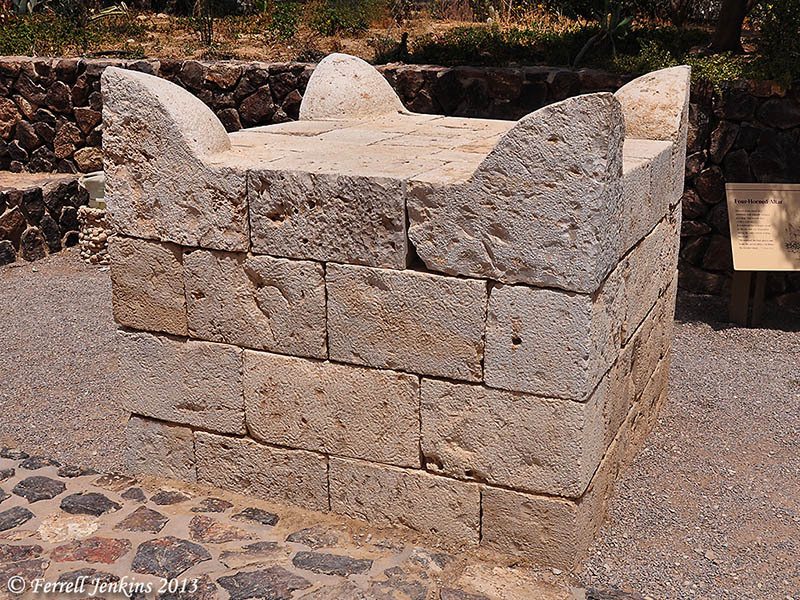 Reconstructed four-horned altar from Beersheva. Photo by Ferrell Jenkins. 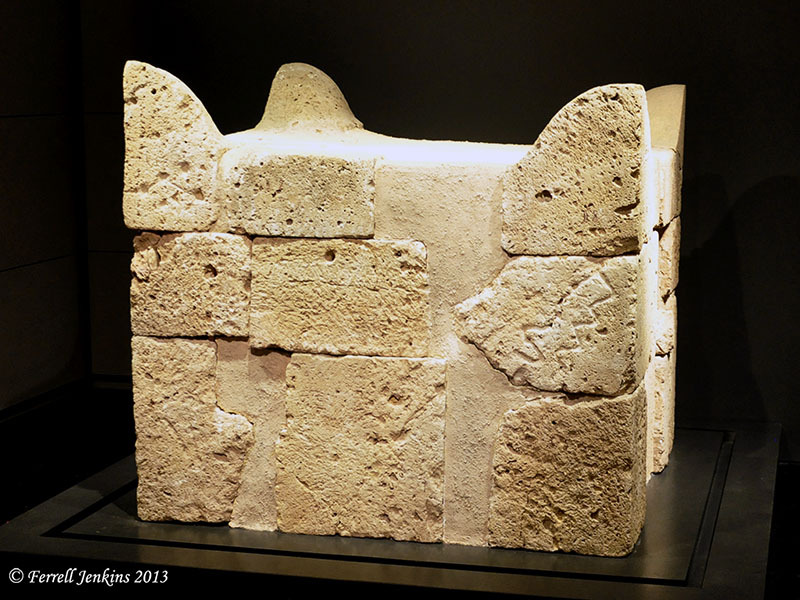 The original four-horned altar is now displayed in the Israel Museum. The four-horned altar from Beersheba. Israel Museum. Photo by Ferrell Jenkins. The reforms of King Hezekiah of Judah (716/15–687/86 B.C. ; Thiele) are described in 2 Kings 18. CBN.tv has a nice brief video about the King Herod exhibit at the Israel Museum. This video features the exhibit as well as commentary by James Snyder, Israel Museum Director, and Dr. Sylvia Rozenberg, the Senior Curator. Here you will learn the rationale behind the million dollar exhibit that emphasizes Herod as a builder. For previous links to King Herod and this exhibit click here, or type the word Herod in the Search Box. HT: the Book & the Spade. Are you planning a visit to Jerusalem during the upcoming months? I suggest you visit the Israel Museum. There is much to see that is of importance to Bible students. We called attention to some of the archaeological artifacts several times. We have written about the Herodium here, here, here, here, and here (and perhaps a few other places) in this blog. The Israel Museum recently opened a new exhibition called Herod the Great: The King’s Final Journey. The exhibition includes a reconstruction of the tomb and sarcophagus of the King from the Herodium. I suggest you begin by reading the article about the exhibition in The New York Times here. Shmuel Browns, a tour guide in Israel, and a fellow-blogger, is quoted in the article. Please take a look at the beautiful photos and descriptions of the new exhibition by Browns. 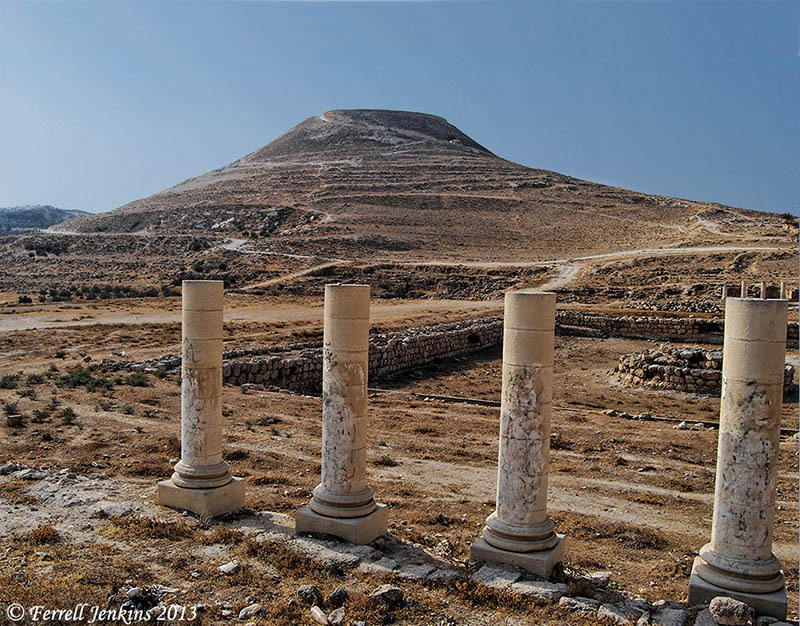 Herodium, Netzer, King Herod and the Israel Museum. Herod – Design and Realpolitik. Carl Rasmussen calls attention to the articles by Browns, and includes a nice photo of the large model of what Prof. Netzer thought the monumental tomb of Herod might have looked like here. I’m looking forward to seeing this exhibition in a few weeks.